Love is in the air in February. With Valentine’s Day and the holidays as two of the most popular times to propose, wedding planning kicks into high gear as newly engaged couples ponder their plans for the perfect day. 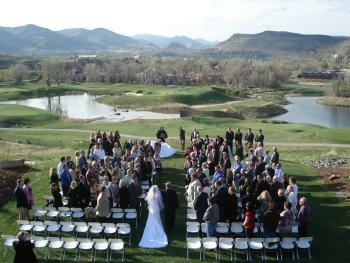 Golden is a wonderful place for couples to tie the knot. Located only 20 minutes from downtown Denver, Golden is set among the foothills and offers the rugged beauty visitors to Colorado yearn to experience. There are plenty of spots for gorgeous wedding photos and ample recreation for out of town guests to enjoy including hiking trails, rocky overlooks and vistas, creek side paths and more. WEDDING PROFESSIONALS…Golden has many photographers, event planners, caterers and wedding planners eager to make your wedding dreams come true. Ask at your wedding venue for a list of preferred vendors. REHEARSAL DINNERS & GATHERING SPOTS…You can also find a wide array of restaurants perfect for a rehearsal dinner or family gathering in Visit Golden’s meetings and events section or the dining page. From creek side patios to historic banquet rooms, Golden has a thriving restaurant scene. HOTEL ACCOMMODATIONS…Visit our Lodging Page for ideas on modern hotel rooms or cozy bed & breakfasts. Golden has a number of lodging options to choose from. GOLDEN OPPORTUNITIES…Getting married in Golden promises to provide your guests with plenty of cultural attractions, outdoor recreation, dining options, family friendly activities and much more. There is something fun for everyone to do while they&apos;re here for your wedding celebration. You can also check out our events page for info on what else is going on in Golden the week of the wedding. COLORADO EXPERIENCE…Golden is the gateway to the gorgeous Rockies. For guests who are coming to help you celebrate from out of state, it&apos;s the perfect opportunity to extend their trip into an unforgettable vacation, or a romantic mountain getaway. National Parks, skiing, unique attractions, outdoor adventure - it&apos;s all waiting in Colorful Colorado. Visit Colorado.com or VisitDenver.org for more vacation ideas for guests who want to extend their stay beyond your wedding. DENVER INTERNATIONAL AIRPORT…Denver International Airport (DEN) is the sixth busiest airport in the nation and offers non-stops to more than 175 worldwide destinations. DEN is served by 26 airlines, including five low-cost carriers and is a hub for two airlines - United and Frontier. GETTING STARTED…If you’re ready to begin planning your Golden wedding, fill out the RFP at the bottom of Visit Golden’s Meeting Planner’s page. Your information will be distributed to Golden event venues for follow up. 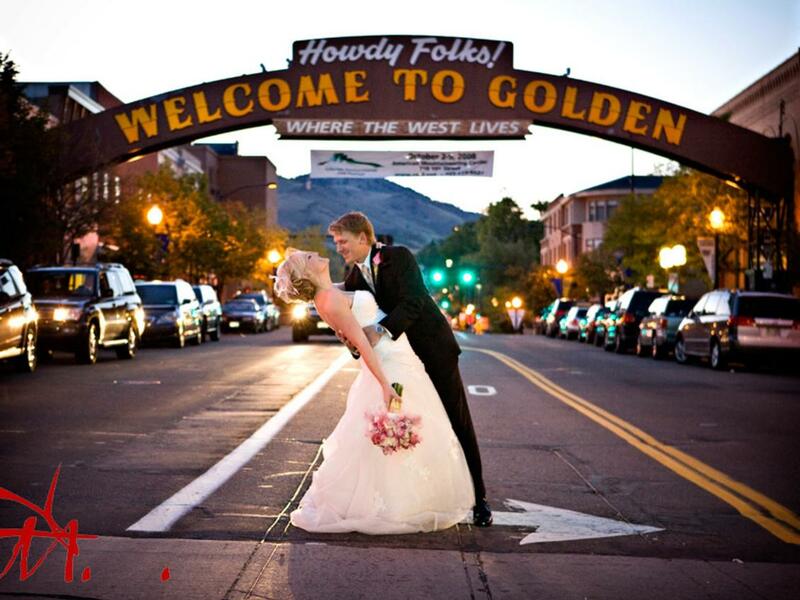 If you are planning a wedding, our warmest congratulations and we hope you’ll celebrate in Golden!